An insider look at the printed circuit board industry; growth outpaces U.S. According to new IndustryNet data, the printed circuit board (PCB) industry has been gaining strength across America's industrial sector, with sustained growth reported in both sales and employment over the past year. As of April 2017, PCB companies from across the country employed over 45,000 workers, netting annual employment growth of just under one percent. In three industry sub-sectors, the expansion added jobs, including the assembly sub-sector (adding 3.20 percent more jobs over last year): manufacturing equipment (1.8 percent), and PCBs in general (.41 percent). The PCB design industry showed no gains, and the PCB repair industry was down approximately five percent in its employment numbers from last year. On a per company basis, Mentor Graphics of Wilsonville, OR has the most employees in the industry located at a single site, topping out at 1,100. Magna Electronics Technology, Inc., of Holly, MI, totaled 500 workers at the end of the year, and Streamline Circuits Corporation of Santa Clara, CA topped 270. The top ten companies that reported increased worker numbers now average almost 230 employees each. One multi-regional corporation, TTM Technologies, headquartered in Costa Mesa, CA, employs over 2000 employees across its Chippewa Falls, WI, Forest Grove, OR and Sterling, VA plants alone, along with another 30,000 workers located around the world. Economically, the entire PCB industry demonstrated a slight increase in annual revenues, rising to almost $35 billion in sales. The general PCB industry reaped the best sales, at $33,348,099.00 for the year, with the manufacturing of PCB equipment realizing sales of $9,749,998.00. The PCB assembly sub-sector followed at $1,556,279.00. Even though the repair sub-sector did not gain jobs, it did achieve revenues of almost a half million dollars. The companies reporting the most financial growth over last year include Advanced Circuits, Inc. of Aurora, CO, Silicon Mountain Contract Services of Nampa, ID and Surface Mount Technology of Appleton, WI. Regarding plant size, the PCB industry consumes significant floor space across the country. The top ten largest PCB plants cover over four million square feet, with the largest site, the Ocala operations plant owned by Lockheed Martin of Orlando, FL, occupying ten percent of that - a full 400,000 square feet. By comparison, the Flextronics plant, located in West Columbia, SC, covers just 230,000 square feet. The average square footage for the top ten largest PCB plants totals just over 300,000. Geographically, the industry straddles the entire country, with the majority (19) of the top 40 companies located in the Northeast region. Wisconsin has the highest concentration of PCB plants of the entire industrial base, with five plants located within its borders. The Northwest (including Colorado), the Southwest (California, Utah and Nevada) and the Southeast regions are each home to seven of the country's largest PCB enterprises. While the PCB industry is seeing some gains, overall the U.S. manufacturing industry is still sluggish, and analysts predict no more than a two percent growth rate between now and 2020. Some of the factors that contribute to the gloomy prediction include the continuing drags in the capital equipment investment markets, reduced labor productivity and the aging population. Increases in consumer and export demands appear to be accelerating the economy in certain areas, but the manufacturing sector is not seeing a comparable boom. IndustryNet lists thousands of companies in the printed circuit board industry, including those specializing in PCB assembly, design, PCB equipment, and more. To connect with companies in the PCB industry and beyond, start your free search on IndustryNet. 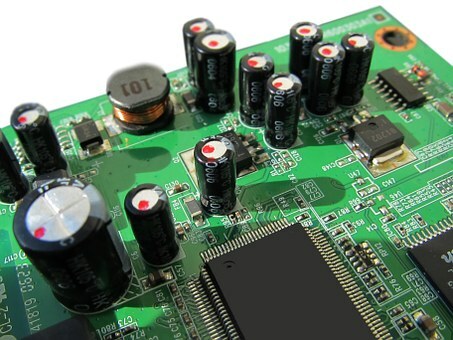 Are you in the PCB industry? IndustryNet can help you stand out from the competition. Learn about our marketing solutions for your business. Related Companies: Advanced Circuits, Inc., Magna Electronics Technology, Inc., Mentor Graphics Corp., Silicon Mountain Contract Services, Streamline Circuits Corp., Surface Mount Technology Corp., TTM Technologies, Inc.